The future of the auto industry is electrification and autonomy. 2017 was a huge boon for electric transport with major global businesses announcing commitments for electrical vehicle (EV) fleets and investments in electric car charging infrastructure. China, the largest market for automobiles, even announced policies that require automakers in the country to produce more electric cars (at least 10%) beginning in 2019. GaN Systems expects that there will be an acceleration of EV development, demand, and improvement over the next 12 months. GaN transistors will enable the next generation EVs by reducing size, weight, power loss, and system cost. Higher power density and lighter weight systems will change the dynamics of battery sizing and management. Faster charging, both wired and wireless, will change consumers’ relationships with, and confidence in their EVs as they move from second or commuter car to main vehicle status. An ever-increasing amount of data is being created, stored, and served every day. Social networks, online videos, IoT devices, and automobile ADAS systems are some of the contributors. Looking forward, autonomous cars will generate massively more data. Coughlin Associates, a data storage consulting firm, anticipates that a self-driving car will generate 1 gigabyte of data per second. While we are years away from fully autonomous vehicles taking over our streets and highways, auto manufacturers such as BMW, Ford, and Toyota are proactively planning how to manage and power its data centers for the data deluge. This flood of data is driving the need for increasingly scalable, efficient, and flexible data center infrastructure. Data centers already consume 2% of global power usage, and could reach 5% per some forecasts. GaN Systems believes that while data centers are significantly more energy efficient today than in the past decade, steps will be taken to further maximize power utilization through renewable energy use, a focus on improving power systems and cooling methods, and more highly leveraging edge data centers. The energy storage industry is in its nascent stages but shows promise in both commercial and residential areas. 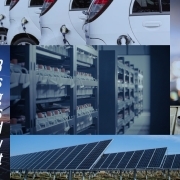 Energy storage systems help manage peak demand, provide backup power, and function as part of an off-grid system when combined with renewable sources of energy. Entire home communities that can operate off the grid are coming very soon. A growing number of home energy storage projects are happening in several cities around the world. One such project highlighted was Mandalay Homes, a new housing development in Prescott Valley, AZ where 2,900 residences will be outfitted with solar and 8 kilowatt-hour energy storage systems. However, some of today’s power transfer solutions requires the charger and device to be in near- perfectly placed alignment and a full charge can take a long time especially when charging multiple devices at once. 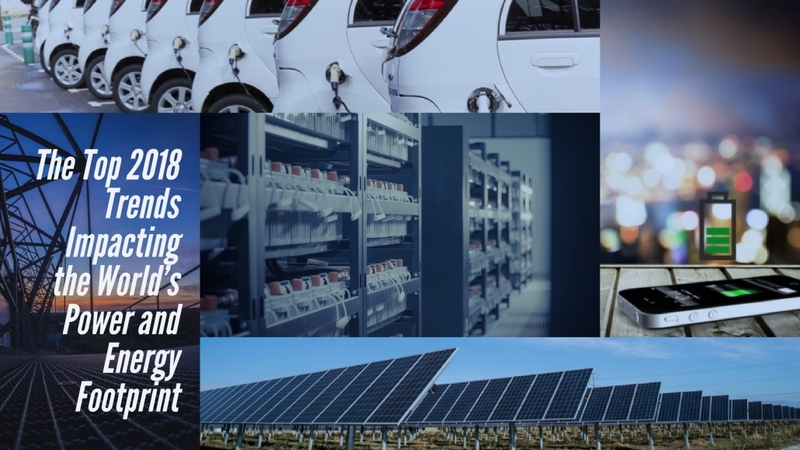 GaN Systems believes improvements in power technology are eliminating these limitations, making way for new charging designs that allow for the spatial freedom and charge time that consumers want. Industrial electric motors and drives are critical components that help commercial and industrial plants operate. There is continuing pressure for increasing efficiency through technology and government policy approaches. This includes incentives and introducing more rigorous energy efficiency standards and motor-efficiency regulations. Additionally, smart factory trends and Industry 4.0 initiatives are driving manufacturing plants to revisit layout and space utilization. At the center of these 2018 trends is power and the need to develop and provide new system design opportunities for smaller, lighter, lower cost, and more efficient power systems. GaN Systems believes the power electronics industry can do this by seeking new power design approaches. Removing the limitations of yesterday’s silicon by using GaN power transistors, enterprise organizations will usher in new applications capable of transforming the future.